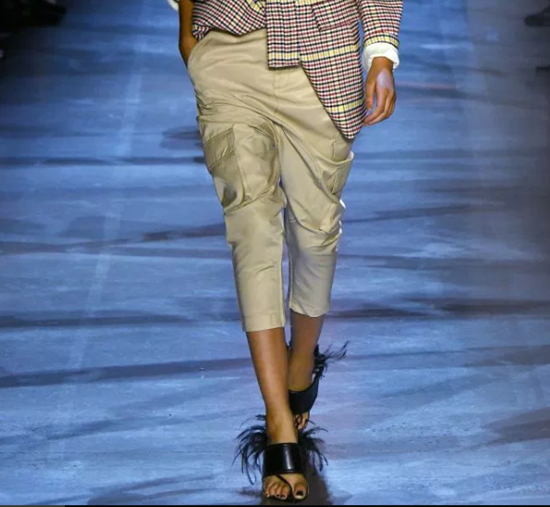 We barely wrapped up Spring 2018 and already, fashion trends for next year are hitting the runways droves. 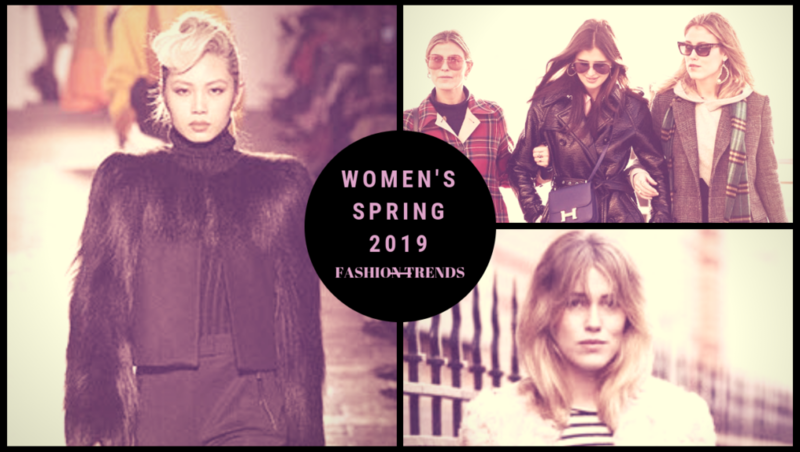 For women, Spring 2019 will bring about plenty of fashion changes. Here’s an early look at what’s showing up across major women’s brands. Get ready to show some skin. 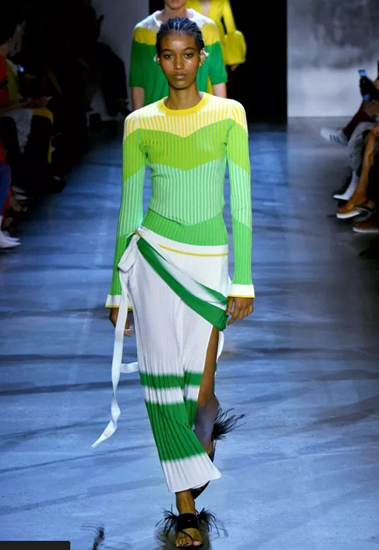 Lots of bare midriffs showing via crop tops and open-design dresses are showing up on the runways this year. 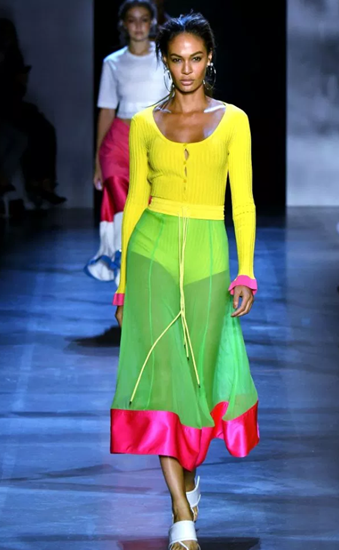 As you can see from the picture above (and several pictures below), bright greens, yellows, and pinks hint at a colorful Spring 2019 fashion set. In addition to bare midriffs, skin’s showing through sheer clothing too. We’ve seen several sheer top and bottom pieces at the shows this year. 3/4-length pants, dresses, and skirts are expected to be big in Spring 2019. 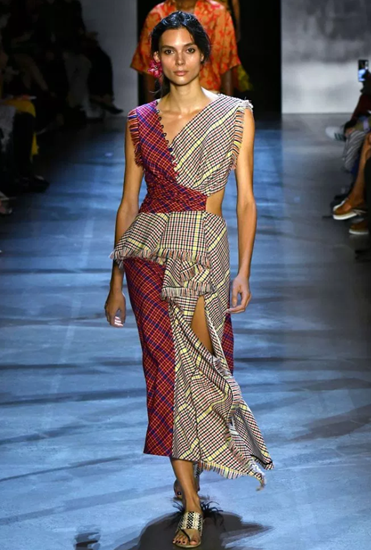 Although we’ve seen plenty of prints and holdover florals, most of the patterns showing up on the runway this year include paisleys, plaids, and stripes. We’re seeing lots of fur and frill in various pieces but most commonly in bottoms and unusually, shoes.